African American women working in assembling planes for the war effort at the El Segundo Plant of the Douglas Aircraft Company in Long Beach, California. Credit: Library of Congress, Prints & Photographs Division, FSA/OWI Collection [LC-USW33-028624-C [P&P]]. 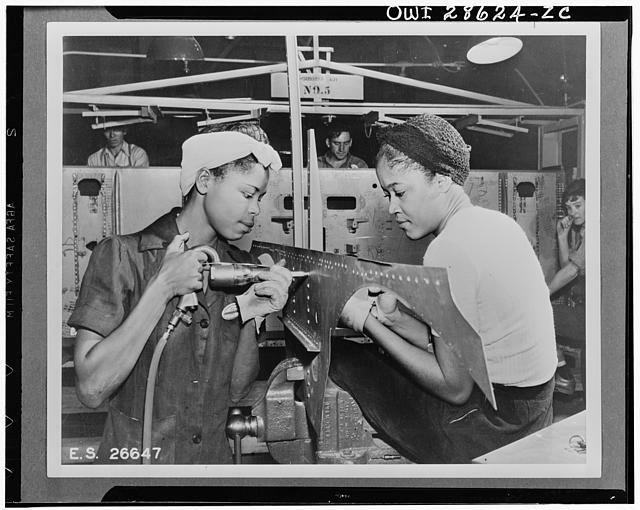 A selection of historical resources that document the impact and changing role of American women in the economy and workforce.